What Are the Functions of Sucrose in the Body? Concentrated sugar is similar to refined sugar, but it comes in many forms and from many different places. Refined sugar is produced by extracting the liquid from cane or beet. The liquid is then evaporated, purified and crystallized, before being concentrated and made into a marketable product. 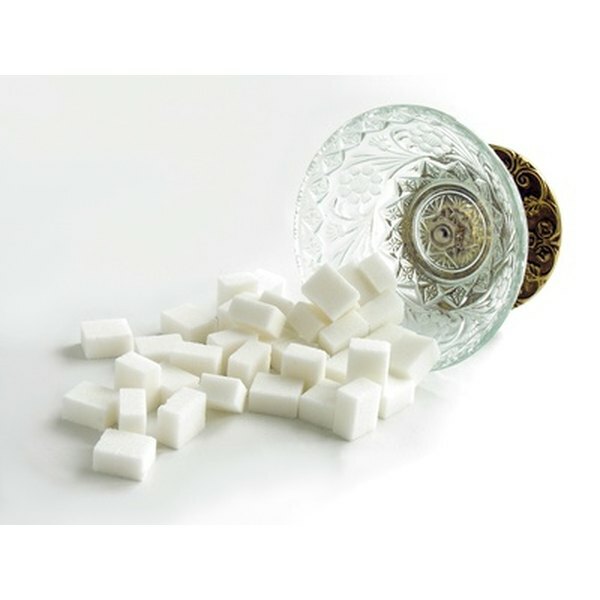 The most highly concentrated form of sugar is the type used in most homes around the country. It comes packaged in bags, boxes or tubs and can be white or brown. Fully concentrated sugar is often called Table Sugar. This type of sugar is pure, concentrated, sucrose crystals. Although the human body has no need for concentrated sugar, most people eat it on a day to day basis. It is used in drinks, cooking and on fruit or cereal. Treacle is another common type of concentrated sugar. It is produced during the refining process of sugar cane. Defined as "uncrystallized syrup" treacle can be dark colored, "black treacle" or pale, "golden syrup." The darker it is, the more concentrated it is. Treacle is commonly used on pancakes or for sweetening cakes and puddings. If treacle is concentrated even further molasses can be produced. Molasses is a thicker, darker syrup than treacle. Fructose is a concentrated sugar, known as a monosacharride sugar. Fructose usually comes in granular form, but it is extracted from fruit and vegetables, not from beet or cane. Once extracted it undergoes a similar, but less rigorous, process to table sugar -- this includes evaporation, purification and then concentration. Fructose, like sucrose, is a pure carbohydrate, and can cause spikes in blood sugar levels. Some people believe that fructose is better for health than sucrose, as it is easier to extract, and the final product has not been so refined, but there is no substantial evidence to prove this theory. Corn syrup is the extract of corn. The main ingredient of this concentrated sugar is glucose. Corn syrup is commonly used in the United States during the production of many processed food and drink items such as jams, jellies and frostings. The main appeal of corn syrup is it doesn't crystallise like sucrose, so the products last longer. Corn syrup comes in different colors. Most common is the clear type which has no flavor, but is very sweet -- also available is a darker variety, which has treacle added to it. Fructose Information Center: What is Fructose?